Arnab Gowsami is India's best talker. Many people can hear his voice very clearly even when their TV mute button is on. Such is the power this guy has on his voice. His thundering words "The nation demands an answer" is a phrase that even babies in the tummies of their mummies would have heard. Though he is supposed to be one interviewing others, he ends up answering to the questions he poses to others. In a way, those invited by him for interviews often end up listening to his non stop jabber. 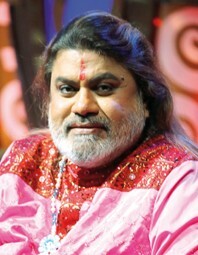 How ever his voice is an irritating cuisine for everyone's ears and because of this reason many people have bleeding ears between 9pm to 11 pm IST. Confidential reports reveal that Arnab Gowsami must have been an agent planted by the ENT specialists across the country. Because of one man, many ENT specialists are earning their livelihood. The hospitals are overcrowded these days and some people are found bleeding through their nose after listening to Arnab Gowsami's non-stop jabber talk. 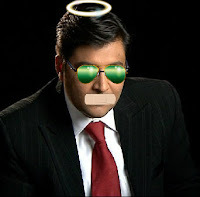 India's leading Voice expert - Mr Anant Vaidhyanathan is now being approached by PETA to train Arnab Gowsami's voice. The stray dogs across the country have promised to refrain from mating till the training period is over. Anant Vaidyanathan has trained many noteable muscians like Michael Jackson, Alicia Keys, Beyonce, Chitra, Navjot Singh Siddhu, Rani Mukherjee and Om Puri. With his training Arnab Gowsami might become a future musician also. If the training go as planned, then Arnab Gowsami might even get to sing and act in the next Ram Gopal Verma film. Note to Arnab Gowsami : The nation needs to see you singing a duet with TR Rajender in Kural TV. Please fulfill the nation's wish. hahahaaa :D yea Arnab is a really irritating fellow always supporting CONGRESS ,but poses dat he doesnt.. and ritely said...he questions and answers himself later and TELLS HIS CONCLUSIONS jst lke bhakra dutt ! The only dog in India that barks like talking and talks like barking. Did anyone check with the other oldie devil? We should have the next viral hit on Youtube surpassing Gangnam style if only they do that duet! :) "The nation demands a duet!" "The nation demands a duet!" (and that will probably beat WTK and even Gangnam Style) Still ROFLing at the though! Lol !! Peoples irritation towards Arnab and his talk show ends here. Very surprisingly they dont crib much about Rajdeep Sardesai's India @ 9 or Rahul Kanwal's Headline Today. All the 3 shows get aired, one after the other and infact Arnab's show is the last one in queue. 591. Anna, show your hand.